Tom Hardy may have experienced a world of fire and blood in Mad Max: Fury Road earlier this year, but for Brian Helgeland’s upcoming crime drama Legend, he’s about to step into a world of organized crime and three-piece suits. Stepping into the shoes of both Ronald and Reginald Kray, the brooding new poster for the film teases their notorious reign over east London throughout the ’50s and ’60s. Before the infamous siblings were sentenced to prison in 1969, the Kray twins pulled the strings on one of the most intimidating gangs to ever grace the streets of the Big Smoke: The Firm. Granted, it’s not the most imaginative of monikers, but what the motley crew lack in creativity they more than make up for in reputation. Governing the capital’s criminal underbelly, Ronnie and Reggie had their hand in armed robberies, arson and even racketeering as they slowly amassed a criminal empire. Perhaps the most intriguing part of the film is, of course, Tom Hardy’s two-part performance. Indeed, Ronnie and Reggie were described as two very distinct personas in John Pearson’s acclaimed novel The Progression Of Violence – which Legend draws inspiration from – and even from the trailers we gather that the actor is playing two very different roles when it comes to the Kray twins. 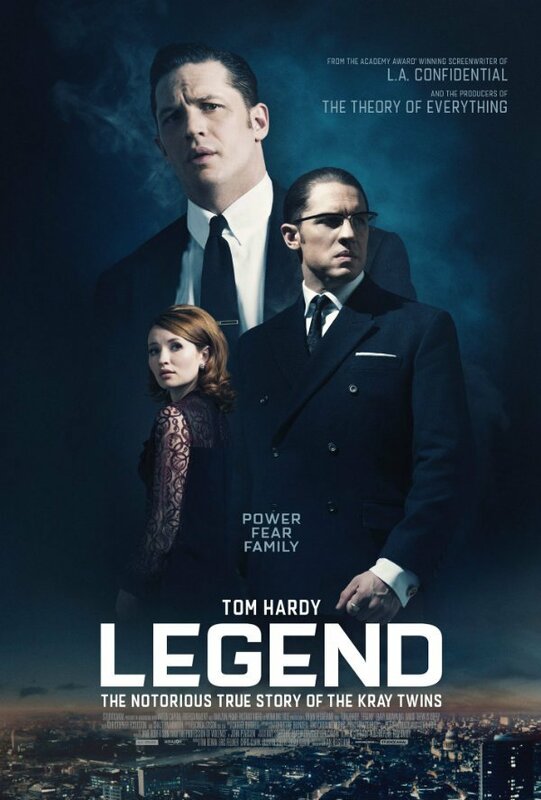 Though Hardy’s dual performance will no doubt steal the headlines right up to release, Legend also brings together the likes of Emily Browning, David Thewlis, Christopher Eccleston, Taron Egerton, Tara Fitzgerald and Chazz Palminteri. A star-studded cast, no doubt. Couple this with the fact that director Brian Helgeland scripted L.A. Confidential and you have one of this year’s more intriguing releases. 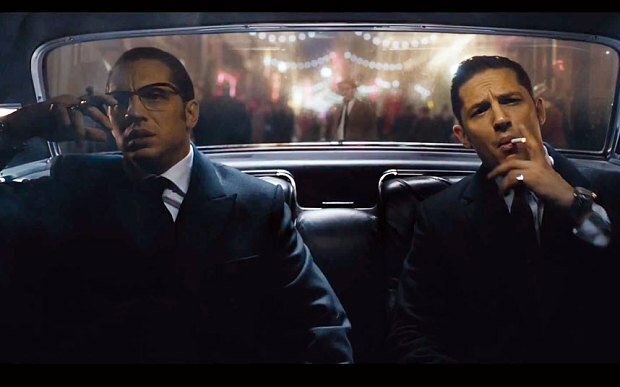 Legend will spell double trouble for Tom Hardy when Helgeland’s pic opens on September 9.